While your boiler and radiators might be in good working order, from time to time you may find that your radiators aren’t getting fully hot. It can be frustrating when you can feel cold spots on radiators, particularly when you’re trying to get a room toasty. 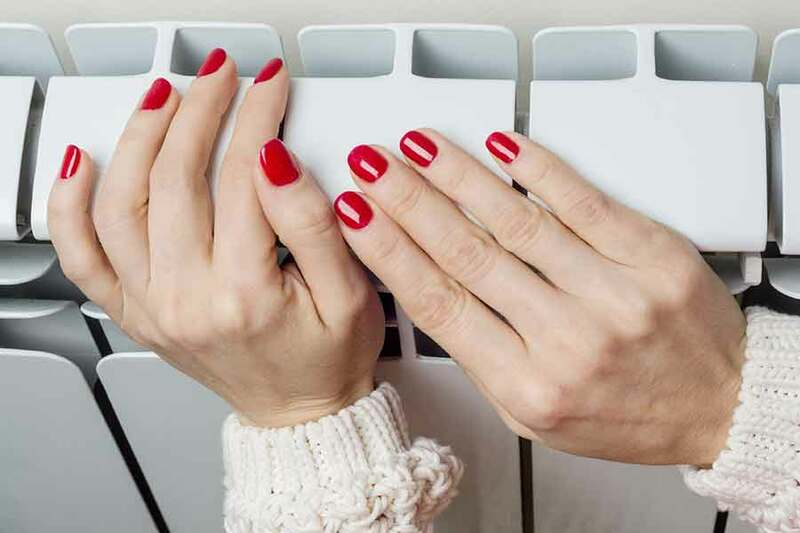 There are a few factors that can cause cold patches in radiators. If you’re finding cold spots on radiators in different parts of your home you may need to refill the cistern or replace the pump. Here’s a checklist of what to do when you first discover a cold patch. If your radiator has a thermostatic radiator valve, check that the valve hasn’t been set too low. If you discover that the valve is faulty, contact your local heating engineer. Located at the opposite end of the radiator to the main valve, the lockshield valve regulates the flow of hot water from the radiator. This allows more hot water to pass through it, it may need adjusting. If your radiator valves are blocked with limescale you may need to flush the system. The particular problem with your radiators could depend on where you find a cold patch. Here’s what to do, based on where the cold patch is located on your radiators. This is usually attributed to trapped air within the system. You will need to bleed the radiator so that this trapped air can be released. Potentially caused by a build-up of debris or sludge obstructing the bottom part of the radiator, cold patches you find in the middle can be fixed by cleaning your radiator thoroughly. To clean your radiator you will need to remove it and flush it out. In some cases your radiator will need replacing. This may be a job for a registered heating professional. If your central heating has an open vented-system then you can use a heating system sludge remover, which you can buy at most DIY stores. Refer to manufacturer’s instructions. If you have a pressurised system, you will need the assistance of a registered heating professional. This could also be triggered by a build-up of debris or sludge, obstructing the flow of water. You’ll need to flush the radiator in order to remove the debris. If you have an open-vent system (a conventional central heating system which is unpressurised and cistern fed), you can use a heating system sludge remover, available at most DIY stores. Refer to manufacturer’s instructions. If you have a pressurised system, you will need the assistance of a registered heating professional.